SPECIAL THANKS TO THIS YEAR’S SHIRT SPONSOR: AMBROSINO CONSTRUCTION, INC. Established in 1978, Ambrosino Construction is qualified and always available to consult with their clients to offer their knowledge and expertise in the field of General Construction. Their clientele includes Architects, Engineers, Retail Establishments, Commercial, Industrial and Residential Professionals and Consumers. Ambrosino Construction broadly specializes in Demolition, Excavation, Concrete, Massive Steel Structures, Brick, Tile, Carpentry, Roofing, and Painting. They have taken part in hundreds of successful projects ranging from beautifully designed luxury homes to architecturally thrilling structures, to retail strip malls with an expertise touch in commercial fit-outs. We have also taken part in the handling of renovations and preservations of already existing buildings. In addition, we are also one of the leading developers in the revitalization of the old Broadway, in Brooklyn, New York. Most importantly, Ambrosino Construction exhibits superior cost control efficiency, while utilizing the premiere quality of materials. Their knowledgeable, dedicated, and helpful staff is able to guide their clients through every stage of the construction process. Ambrosino takes great pride in their work to ensure a job exceptionally done. Their strong attention to detail and passion for architecture are one of the many reasons why their greatly valued clients have chosen them to oversee countless projects throughout the years. Ambrosino Construction and their president, Michael Ambrosino, have been strong supporters of QCP and the Marathon program for four years. In addition to running both the New York City Marathon and the NYC Half Marathon, Michael was awarded the 2015 Entrepreneur of the Year Award at Queens Centers for Progress’ Annual Gala. JFA Insurance Brokerage & Associates is an independent agency located in Bayside, NY, and is licensed in all 50 states. JFA Insurance Brokerage & Associates Inc. has provided quality insurance products at competitive pricing for over 30 years. Their team of knowledgeable insurance professionals are experienced in creating personal and commercial insurance policies designed to fit your needs. With JFA Insurance Brokerage & Associates Inc. their friendly staff will work with you on a one on one basis to develop not only the perfect policy, but a lasting relationship. When you work with JFA Insurance Brokerage & Associates Inc you’ll experience the exceptional service and attention to detail that you can only find with an independent insurance agency. JFA Insurance Brokerage are the first ever New York City Marathon Kazoo Sponsors for QCP. The agency is no stranger to helping the Bayside and local communities and just this past spring became involved with Queens Centers for Progress’ Footsteps for Progress Walk helping the organization raise over $30k! 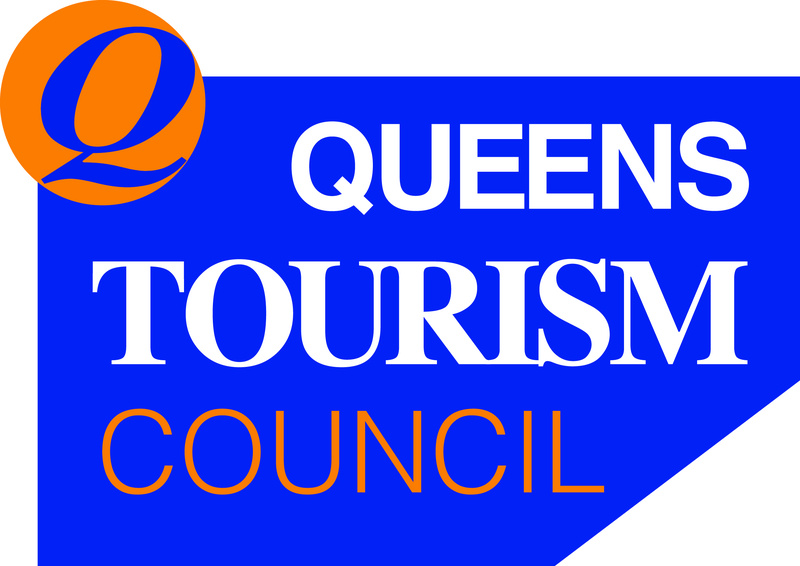 AND SPECIAL THANKS TO QUEENS TOURISM COUNCIL, QUEENS DISTANCE RUNNERS AND THE QUEENS CHAMBER OF COMMERCE FOR THEIR SUPPORT AROUND THE YEAR!